Export of raw materials would help profiteers to exploit the country; but industrial use of the country’s working hands would make the motherland prosperous. So, instead of exporting raw materials, attempts should be made for their industrial utilization inside the country. This was the essence of politico-economic realization of Madhu babu, the most revered Madhusudan Das of Orissa, whom Gandhiji was looking at as his source of inspiration in formulating his practical economic programs for the masses. “Over 98 per cent of the population works on land. Land does not grow in area. Hands grow in number with the growth of population”. So, extra-agricultural engagement was needed for people to earn their livelihood and proceed to prosperity, Madhu babu had observed in a speech to Bihar Young Men’s Institute in 1924. Gandhiji was deeply influenced by this speech. Two years later, on 9-9-1926, he wrote in Young India, “I have kept that speech by me so as to be able to deal with the essential part of it on a suitable occasion”. 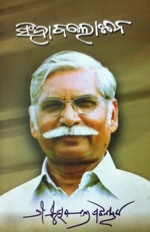 In total agreement with Madhu babu’s remarks Gandhiji noted, “the value of his remarks is derived from the fact that, though a lawyer of distinction, he has not only not despised labor with the hands, but actually learned handicrafts at a late period in life, not merely as a hobby, but for the sake of teaching young men dignity of labor and showing that without their turning their attention to the industries of the country the outlook of India is poor. Sjt Das has himself been instrumental in establishing a tannery in Cuttack which has been a centre of training for many a young man who was before a mere unskilled laborer”. Gandhiji was so much influenced by Madhu babu’s emphasis on utilization of the raw materials in engaging indigenous industries that on 19-6-1927, he wrote in Navajivan that, “raw materials worth crores of rupees are produced in this country and, thanks to our ignorance, lethargy and lack of invention, exported to foreign countries; as Sri Madhusudan Das has pointed out, that we remain ignorant like animals, our hands do not get the training which they ought to and our intellects do not develop as they should. As a consequence, living art has disappeared from our land and we are content to imitate the west”. India being a land of the farmers and the farming community being cattle dependent, there was enough availability of cattle hides which were being exported to foreign countries, when by industrial use thereof toiling masses were to fetch handsome earning. 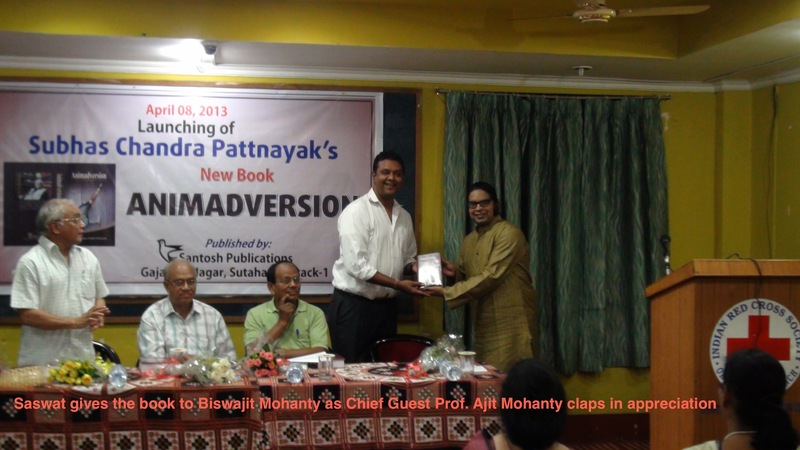 This is why, Madhu babu, as a demonstrative venture, had established the tannery at Cuttack. Inspired by him, Gandhiji had established a tannery at Sabarmati Ashram. I am going to give the copy of Gandhiji’s letter to Madhu babu in this matter, which would show to what extraordinary extent, Gandhiji was influenced by Madhu babu in formulating his practical political economy meant for the masses. After a great deal of thought and bother I have established at the Ashram a little bit of tannery without any power-driven machinery and without skilled assistance saved that of a man who has received a rough-and tumble experience of tanning in America and who is a crank like myself. Though I did not succeed in sharing your troubles and taking the load off your shoulders in connection with your own great national enterprise, your inspiration is partly responsible for the establishment of this little tannery at the Ashram. Can you please help me with a list of literature on the subject, a handbook on tanning and the like? If you think that there is nothing like this in English, will you out of your own wide and varied experience write out something that may be of use for propaganda, just a few hints? What is happening at the tannery? Who is in charge? I may add that my idea is to make the Ashram tannery a model for villages so that the villagers may be able to treat their own dead cattle and make use of the hide themselves. I have asked many people without success as to how I can skin dead cattle. Everybody knowing anything of tanning has something to say about hides after they are received from the village tanner; but nobody has yet told me if I take charge of a dead animal I can skin the carcass economically and hygienically and make use of other contents such as bones, intestine, etc., for purpose of manure. A Cuttack Court failed to use its judicial wisdom to grant bail to Braja Bhai, presently in judicial custody in a motivated police case, too dazzled as it was by parade of a different episode in which he was framed up, necessitating the Supreme Court’s grace for granting of bail. But, exclusive information under our possession makes it clear to us that in that case too, he was wrongfully implicated. 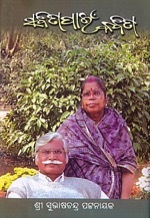 The real culprits – Manubhai Patel, Manorama Mohapatra and Satya Paul et al – who had swindled the funds of the Samaja, have stayed safe till date, because a retired IAS officer Dandanirodh Mishra, similar to the one presently in occupation of GM post in the paper, had then used his influence in administration to frame up Braja Bhai in order to save the swindlers. Mishra has reminded Manubhai in a caustic communication of how the three of them are under “Democle’s Sword” with Braja Bhai having made his statement in the misappropriation case pending against him and how embarrassing it would be to the three of them when the process of investigation would eventually end. “(It) would be a matter of serious discussion in the State, to your embarrassment and the embarrassment of the Board of Management, especially when the process of investigation pertaining to misappropriation of Rs.97.00 lakhs from the Samaja account is yet to be completed, with Democle’s Sword hanging on you, on Smt. Manorama Mohapatra and Shri Satya Paul as per statement of Braja Bhai”, he has told Maubhai Patel. “Had I not taken the right step at the right time, I am afraid, now you would have been in jail instead of Sri Braja Bhai”. This is how ex-general manager of The Samaja, Dandanirodh Mishra recapitulated his role in a letter to Manubhai Patel, the then chief of Servants of the People Society (SoPS) on 25.07.2007. He had even saved Patel from being caught in sting cam while bartering away independence of the Samaja to Chief Minister Naveen Patnaik against Rs.50.00 lakhs of slush money on 15.11.2006. 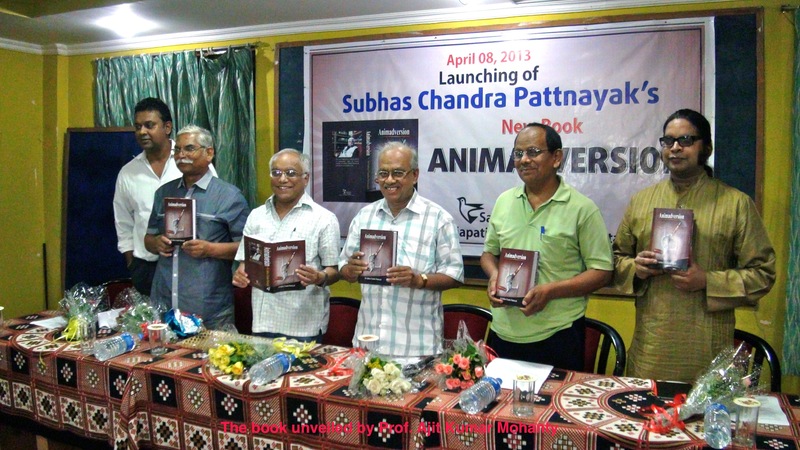 Patel, as President of SoPS that has kept Orissa’s premier daily – the ‘Samaja’ – in capture, had pledged publicity support to Chief Minister Naveen Patnaik against a sum of Rs. 50 lakhs, through a mediator he was relying upon, says a reliable sourse. 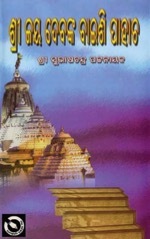 When he was proceeding to Puri on the appointed day to receive the slush money in person, Mishra, having gotten a whisper about sting cameras waiting for the transaction to take place., had saved Patel from the sure-to-occur exposure by warning both him and the CM and by arranging a talk between both of them on the road over the phone. “You are aware that I had saved you from embarrassment, humiliation and ignominy by requesting the Chief minister to have a telephonic discussion with you when you were rushing to Puri on 15th November 2006 to collect a sum of Rs.50.00 lakhs as promised to you over telephone by somebody (whom you assumed to be the Chief Minister) without meeting the Chief Minister as per the scheduled programme”, Sri Mishra had later written to Patel while leaving the organization. It clearly indicates that a program was scheduled for transaction of the slush money on November 15, 2007. From a document signed by Mishra, it transpires that he, as the GM of the Samaja, had “unearthed misappropriation of Rs.97,08,500.00 from the accounts of the Samaja”. And had “taken action” against Braja bhai and others for the same. But that, Braja bhai was framed up to keep the real culprit under cover, is clear from what Mishra has told Patel in his letter No. 253/GM/2007 dated 25.07.2007. In this letter, he has told Patel, “Had I not saved you, instead of you driving out Braja Bhai from life membership by invoking the emergency power under the provision of the constitution of the SoPS as per my suggestion, you would have been removed by Braja Bhai with sufficient adverse evidences against you”. So it is clear that Mishra had suggested Patel to dismiss Braja Bhai from SoPS by invoking emergency powers of the President. With this confession of Mishra, it is also clear that he had willfully implicated Braja Bhai in the misappropriation case to save the skin of Manubhai and his two other partners in the crime, namely Manorama Mohapatra and Satya Paul. And, therefore, to us it is clear that Braja Bhai has not committed the misappropriation as alleged. A highlander by birth, born in Mayurbhanj, he is by nature a simple man, too proud to commit crimes like misappropriation of funds of the paper he had given a new birth to. Employees gratefully remember how he had spent days and nights to help some of them get deadicted. Employees gratefully remember how he had for the first time given them refreshment environment in honor of their human rights. He is a man, who, employees believe, cannot misappropriate the funds of the Samaja he is so devoted to. 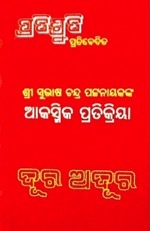 Onus lies on the management of the Samaja and the police to prove their charges against Braja Bhai; but for so many years they have been limping and the false charges are continuing to harass the man willfully framed up by the stooges of the real culprits, as Dandanirodh’s letter to Manubhai Patel reveals. When Patel has recaptured SoPS by way of a forged election, which according to the District Judge of Cuttack in F.A.O. No 113 of 2012, “appears to have no prima-facie sanction of the Constitution of SoPS”, a retired IAS officer S.C.Mantry has been used as GM to file cases against Braja Bhai. It seems, he has a history of using retired rogues from IAS cadre to conduct illegal operations in the Samaja, specifically in prosecuting Braja Bhai; because, prior to Mantry, as confessed by retired IAS officer Dandanirodh Mishra, he was also used by Patel to put Braja Bhai behind the bars. The confession of Mishra has manifested in his parting letter to Manubhai Patel when he has told him, “had I not taken the right step at the right time, I am afraid, now you would have been in jail instead of Sri Braja Bhai”. He has admitted that he had taken the so-called “right step at the right time” to send Braja Bhai into the judicial custody in order only to safeguard the “prestige and safety” of Manubhai Patel. 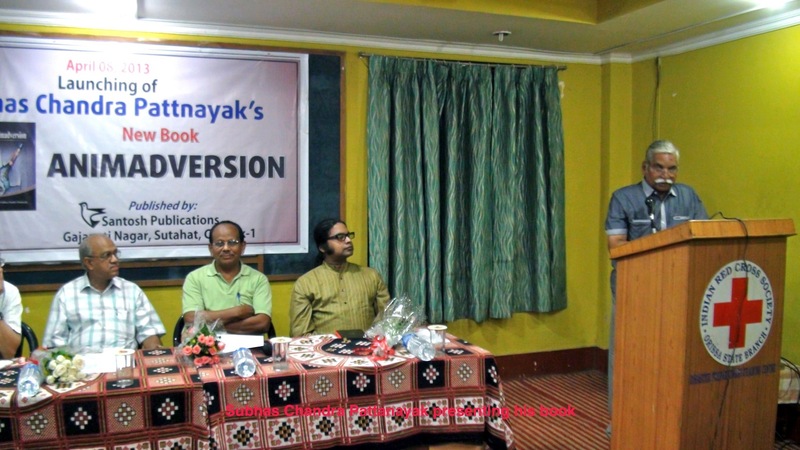 Another retired IAS officer – K.C.Mahapatra – was also planted by Manubhai to exploit the Samaja and to serve his personal interests at the cost of the paper, Mishra has said. In Para 6 of his parting letter, he has narrated how Manubhai had taken Mahapatra as his adviser “with authority that he shall render advice and report on any issue relating to the business of SoPS in Orissa in particular reference to the Samaja”. Mahapatra was given all the powers to intervene in every matter of the paper including editorial policies and business processes. And the Samaja was to bear the burden of his personal expenses and to look after his comforts. But, all this was designed to help Mahapatra use the influence of the Samaja for personal business in which Manubhai has his share. “As Shri Mahapatra is constructing a Hotel near Rasulgarh of Bhubaneswar, his appointment was an award to him at the expenses of the Samaja in exchange of his service in the game-plan to expedite my oust from the organization”, Mishra has noted. 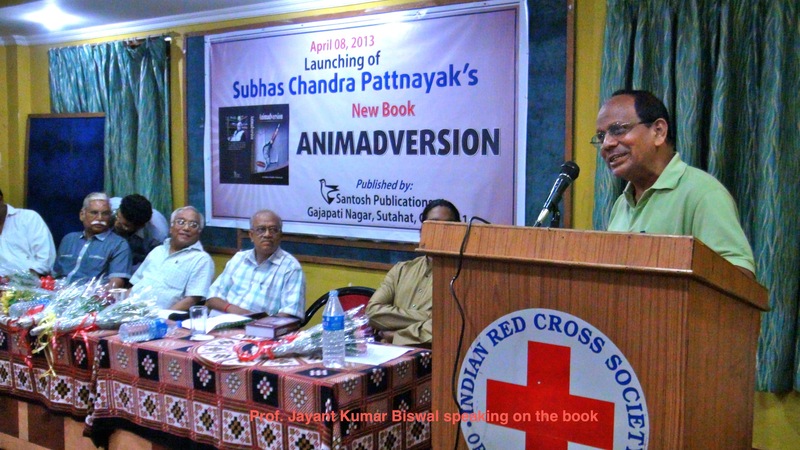 Now a pack of retired fellows from various wings of civil services have been appointed as advisers of the Samaja. These fellows have neither any experience nor any expertise in journalism. 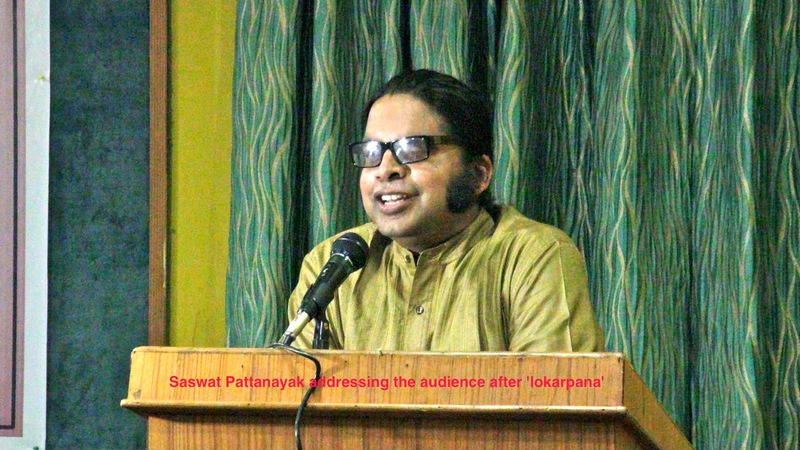 Senior journalist Prasanta Patnaik has challenged them in social media like the facebook to reveal as to what sort of function they are performing in the paper and why have they accepted the appointment as advisers when they know they have no journalistic contributions to make and nowhere in newspaper establishments such advisers are appointed and provided for in either wage boards or Press Commission reports. To us, the nefarious design is contrived to subjugate journalistic wisdom to idiocrasies of non-journalists. 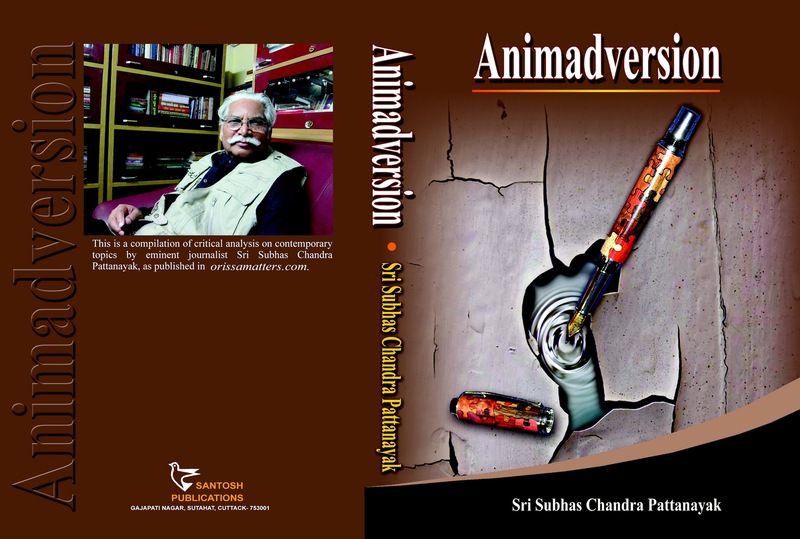 That Patel has the uncommon knack for using retired IAS and IPS officers to defend himself in difficult situations and to offend and harass whomsoever he feels to be disadvantageous to his personal ambitions is well on records by confession of Dandanirodh Mishra, whom he had used to victimize Braja Bhai. 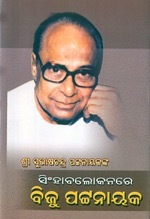 Dandanirodh was recruited by Patel for the post of GM of the Samaja and used by him to remove Braja Bhai from position and then was pushed into a situation where there was no way for him than resigning. He has confessed this in the following term in his parting letter addressed to Manubhai: “I think, the sole purpose for which you brought me to the organization – to remove Braja Bhai by hook or by crook – has already been achieved and you do not require me any further”. The fellows now basking under epithets like advisors may gain by going through the experience of Dandanirodh Mishra. Mishra’s parting letter is relevant in many respects. 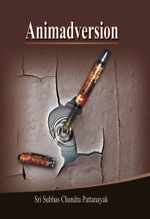 He had unearthed a misappropriation amounting to Rs. 97, 08,500.00 from the accounts of the Samaja. Out of this amount, a sum of Rs. 47, 08,500.00 was misappropriated by Sri Satya Paul, life member and close associate of Manubhai Patel. Mishra says that he was “pressurized not to take any action against Shri Satya Paul in the misappropriation of a sum of Rs. 47,08,500.00” even though the misappropriation case was instituted on the FIR lodged by him. 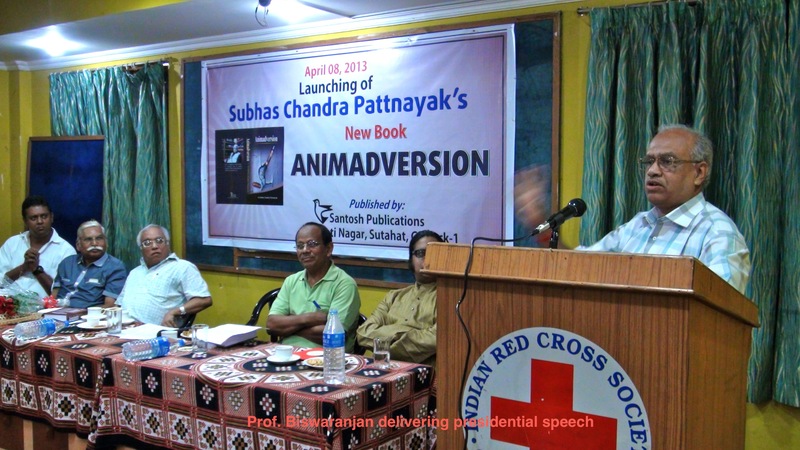 Manubhai’s readiness to pledge support of the Samaja to chief minister Naveen Patnaik for Rs. 50.00 lakhs added to the amount allegedly misappropriated by Satya Paul makes out the total sum of 97,08,500.00, which, according to Mishra’s FIR was misappropriated from the accounts of the Samaja. Was Manubhai the man who misappropriated the sum of Rs. 50.00 lakhs from the Samaja and on unearthing of the same, had tried to organize the said amount from slush funds that Naveen Patnaik was handling, in order to set the records of the Samaja funds right? Mishra has not told of that. But he has revealed in no uncertain terms that after the FIR was lodged by him, he was “called twice to Delhi to meet them (Shri I. K. Gujral and Justice R. Sachar – the trustees) in the residence of Shri I. K. Gujral (former Prime Minister of India) to explain everything pertaining to the misappropriation of Rs.97,08,500.00” when in those meetings, Manubhai along with Shri P. M. Mehta, Shri Omkar Chand, Shri Ranjit Singh and Shri Satya Paul were also remaining present. “A lot of pressure was put on me to release a sum of Rs. 75.00 lakhs approximately in favor of M/s Poddar Global Ltd as per their claim”, Mishra has said. It needs police /CBI investigation to ascertain if the misappropriated money of the Samaja, at least the sum of Rs.50.00 lakhs for which needle of suspicion points to Manubhai, was to be adjusted from that payment. 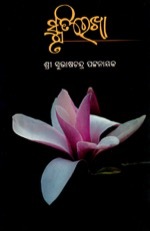 Such investigation may gain from analyzing as to why Dandaniraodh has told Manubhai that he would have been in jail instead of Braja Bhai had he not saved him and why he feels that Democle’s sword is hanging on Manubhai, Manorama Mohapatra and Satya Paul linking the same to Braja bhai’s statement in course of investigation. Investigation is also required on whether, as revealed by Dandanirodh Mishra, on 15 November 2006, Manubhai Patel was to receive Rs. 50.00 lakhs clandestinely from Chief Minister Naveen Patnaik, which was abandoned in fear of sting cameras and if that “programme” was “scheduled”, for what purpose the CM was to give him that money. Despite bail granted by the District Judge, leaders of the Home Guards of Orissa are perishing in prison, because the police know that the State government is too spineless to intervene in any matter they design to do. The conduct of the State Government encourages the police. The minimum one expects of a State Government is that, it should be an ideal employer. But Mr. Naveen Patnaik is heading a government that acts rabid exploiter. It has employees in almost all departments who work regularly on jobs of regular nature; but despite that, even after having worked for years together, they are not regularized. They are kept away from legitimate time scale salaries and no service benefit is available to them. Their exploitation was earlier going on under various nomenclatures like work-charged employees, NMR, DLR etc and now is going on under the design of contracts. They are bereft of minimum wages and service conditions. When they demand for regularization in jobs, they are tortured through the police. Mahatma Gandhi Marg of Bhubaneswar is witness to umpteen such acts of oppression. 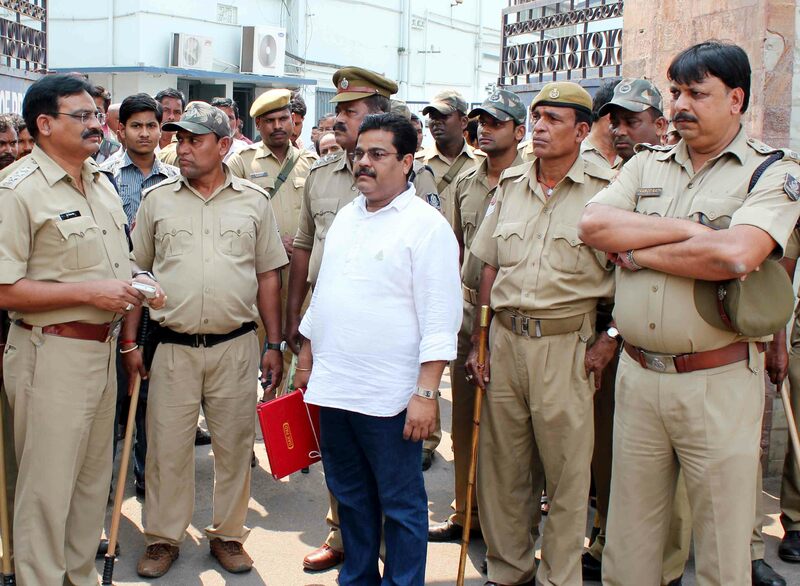 Now a part of police organization – the Home Guards – has fallen a prey to this devilish practice. In Orissa,15192 persons are working against 18441 sanctioned posts of Home Guards, which means they are overworking to manage the duties of 3249 Home Guards that are not even recruited. They assist the police in maintaining law and order, beat patrolling at night and in urban locations, in regulating traffic, patrolling in PCR vans, even in driving police vehicles, and carrying out duties at various important nerve centers of administration in odd hours as and when their area Police Officer requires. Any reluctance to obey orders of the P.S. precipitates retrenchment. But they are not properly paid. They are not protected by any fair and legal service condition. They are not given the status of government servants. They are not assured with any service stability and any retirement benefit, even though they have been working in sanctioned posts. As they protested against this exploitation and raised a demand for enhancement of the abysmally low wages they get, they were brutally beaten up by the police at the PMG point of the M.G.Marg on March 22, 2013 to suppress their voice against exploitation and massive arrests were made under various charges. The district judiciary granted them bail. But, now it transpires from a statement issued by the President and the Secretary of the Bhubaneswar District Unit of their association that despite the bail, their State President and seven other members of the State leadership including three lady Home Guards have been refused freedom by the Police that project them as habitual offenders. This is sheer misuse of sec.110 with intent to harass and demoralize them further, they allege. Sad, the State Government is unable to feel how adversely it may affect the environment of law and order maintenance. 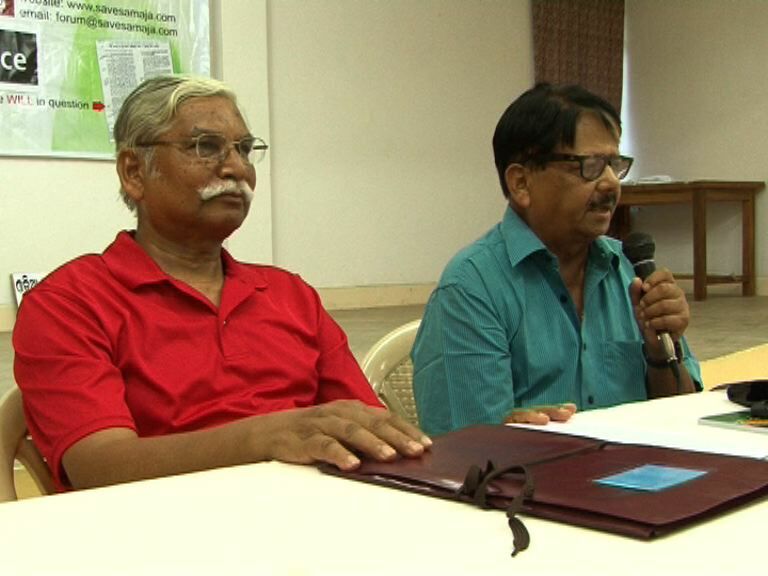 The Samaja tangle: Trade Union leaders framed up in cooked up cases: State a silent spectator! The President of Utkalmani Newspaper Employees Association and sub-editor of Utkalmani Gopabandhu Das’ great gift to Orissa, the Samaja, Sri Devi Prasanna Nayak is in judicial custody since 26 March 2013 apparently as a lady sub-editor namely Mamata Bisoi alleged that he along with others outraged her modesty. From the order of S.D.J.M. 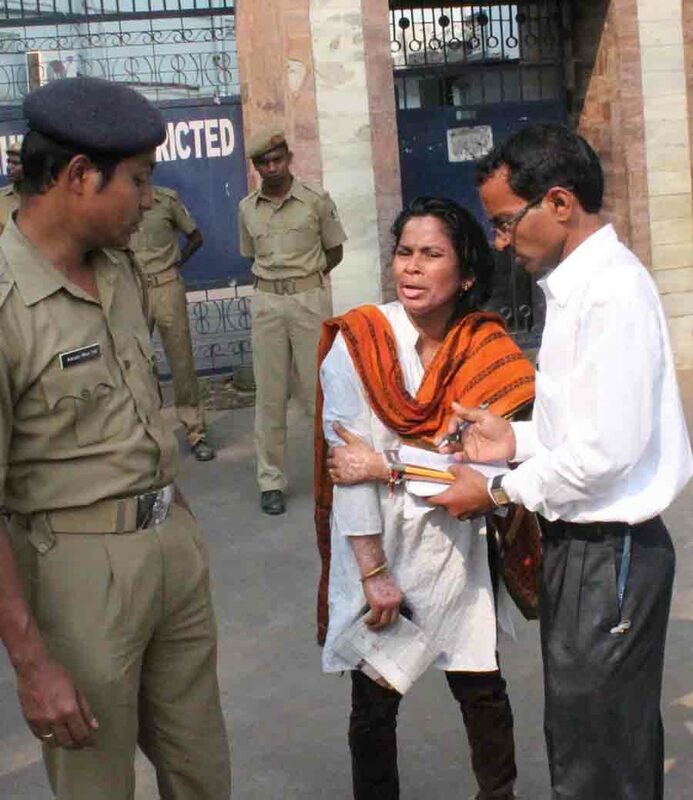 (Sadar), Cuttack, before whom Devi and the co-accused Braja Bhai were produced the same day, it transpires that bail was rejected because Mamata has given a statement to the effect that “getting information, when she went to the spot”, the accused persons “pulled her Saree, caught hold of her, squeezed her breast and assaulted her, for which she sustained severe injuries on her head and her left of body”. To the Magistrate, “the above facts and gravity of the alleged offence” were such that he was “not inclined to release the accused persons on bail”. 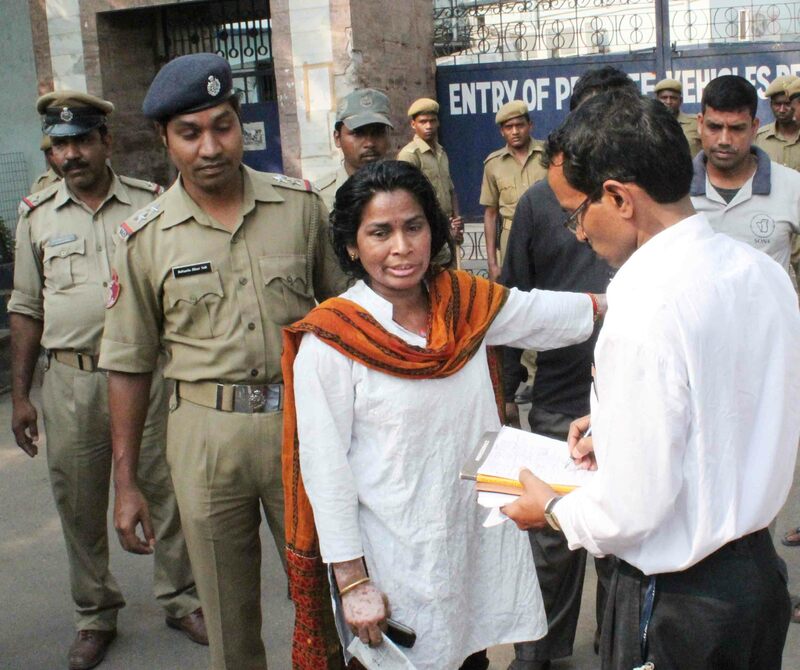 Was she really tortured by Devi and the co-accused as she has stated? Our investigation convinces us that she has given false statements to misuse the judicial system against the accused persons for reasons yet to manifest. If pictures can say, they say emphatically that Mamata’s statement is nothing but concocted. If getting the information she had come to the “spot”, the spot was full of police personnel and members of the Samaja staff. Eye witnesses say, she had come with her brother and another woman. 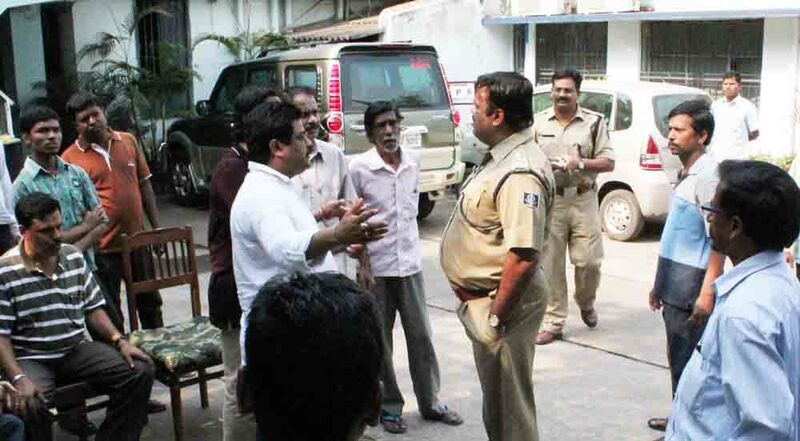 The police was in discussion with Kishore Tripathy, Devi Pr. 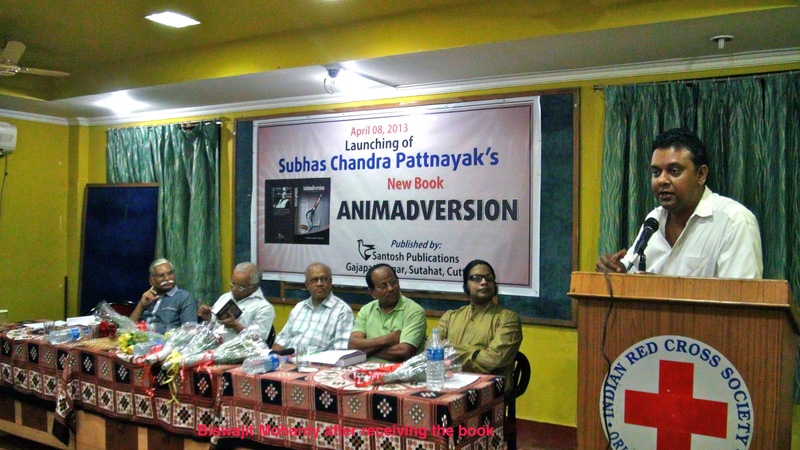 Nayak, Niranjan Rath, Bhimsen Jadav etc. 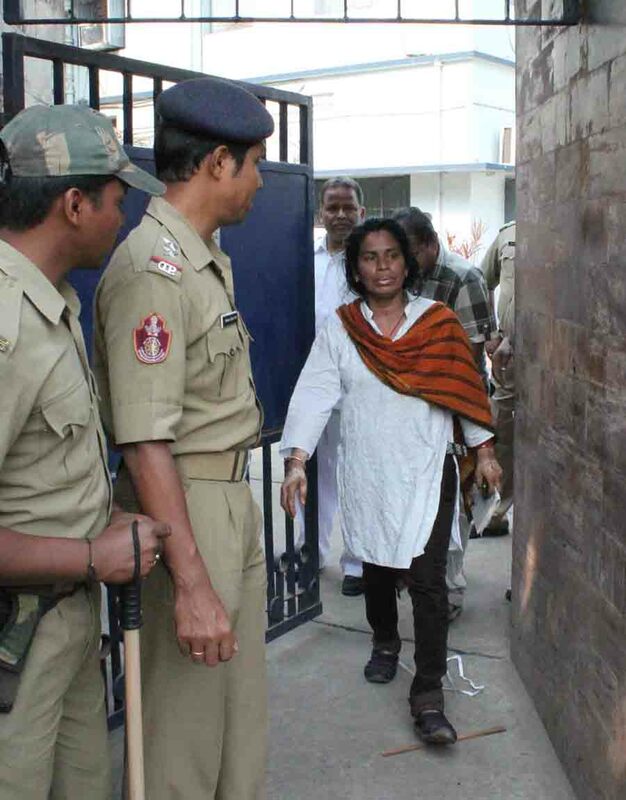 As Devi was in discussion with the police along with others, Mamata was having talks with police and someone known as her brother at the Samaja entrance. She was seen giving some instructions to someone whom she says to be her brother. 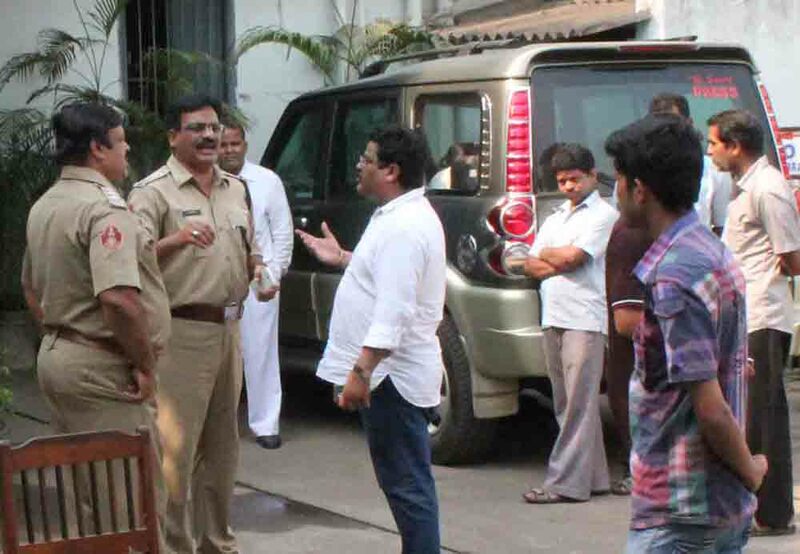 At that time, police was discussing with Braja Bhai. Soon thereafter, Police wanted Devi and Braja bhai to come with them to the DCP for further discussion on how to solve the Samaja tangle. And, then took him and Devi to the DCP where they were declared arrested. And, where and when, despite their heavy presence, they “pulled her saree, caught hold of her, squeezed her breast, assaulted her thereby causing her head injury and injury on her left, as alleged by her? We have talked to many persons present on the spot and all of them say that Mamata has given false statements. Devi is a person of good moral character and neither he nor Braja Bhai nor anybody else has misbehaved with her as alleged. Taking advantage of the lacuna in judicial system that allows magistrates to refuse bail without examining if there is prima facie reason to disbelieve the accusations, the police have picked up the General Secretary of the Association Sri Subash Chandra Singh on April 13 reportedly on the same ground and hounding some other leaders of the trade union too. The Trade Union that Devi and Subash lead has been fighting against unfair labor practices, which the Samaja management has been perpetrating against the employees in blatant and criminal contravention of the Industrial Standing Orders Act.. There are many such employees who have been regularly working for the paper for decades without being regularized and sans payment in time scale and the Union has raised industrial disputes against such illegalities. Therefore the occupiers of the Samaja want Devi and his team get out of the scope for fighting for the employees and therefore, they have subjected Devi and his friends to cooked up cases. 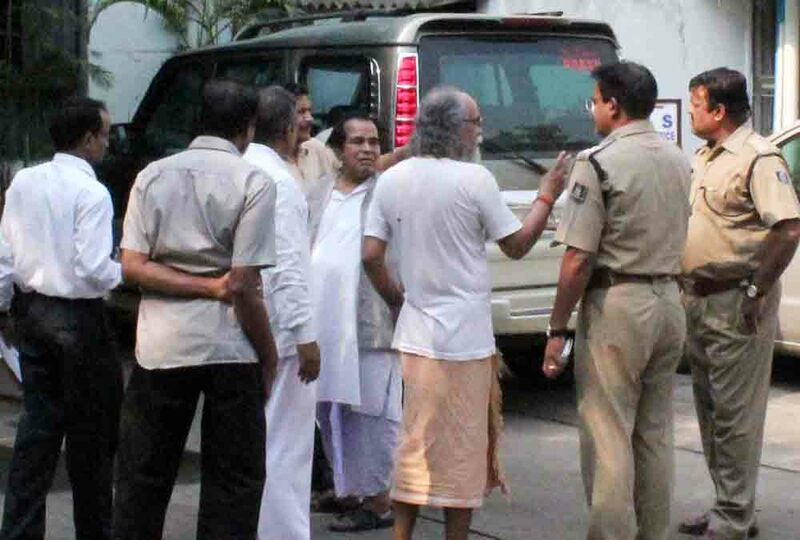 Earlier, they had subjected Devi to a domestic enquiry on concocted charges and had instructed the security personnel not to allow him entry into the Samaja office to keep him absent from enquiry! 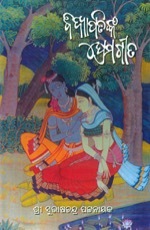 When thus Devi was debarred from defending himself, Mamata was presented as the management witness and from what she told the enquiry officer, it was clear that she holds either personal grudge against Devi or was eager to oblige prosecutors of Devi by vomiting their versions against him. So, there is reason to believe that her statement to Police and later to a magistrate is prompted and vitiated with motive and antagonism. If the Government is not irresponsible, it should review the case against Devi and others and correct the wrong done to them by ensuring that false prosecution is not supported by the State. It is time for the State also to save the Samaja from fraudsters. The fellows that have kept the paper in their capture have swindled crores of rupees from the revenue of the paper as figured even in the report of the Enquiry Committee headed by Justice Arijit Pashayat. The State Government should call for this report and initiate necessary action as fraud is being played upon the people of Orissa – the real financiers of the paper – by the Samaja occupiers. It would be wrong if the State stays a silent spectator.